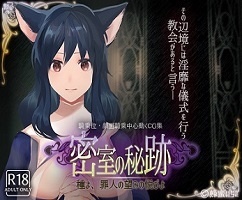 In this story players will assume the role of Yomi an ancient fox spirit who awakens after several hundred years of deep sleep to find that possession of her lovingly made dungeon has been taken from her! As if that wasn’t enough cause for alarm, she has also been robbed of her power, leaving her weak and vulnerable. She soon discovers that it was a heroic knight who woke her from her slumber, and after a brief fight and “negotiation,” the knight decides to join her on an adventure to reclaim the dungeon! Together, they will unearth great treasures, reveal secrets and hidden rooms, and recruit monster girls to fight by their side…all while avoiding traps, fighting off dangerous enemies and bosses across multiple floors, and uncovering the devious plans of the new dungeon lord. One of the most important mechanics of Sakura Dungeon is the ‘capture’ mechanic, wherein the player will be able to capture monster girls they encounter and add them to their party.